Italian travel has always meant learning about and indulging in special pastas and pastries that have been prepared for ages by hand and with great love. 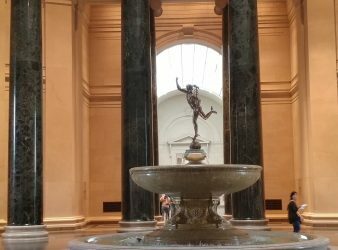 However, over the last decade many “touristy” restaurants in Florence, Italy began to serve the same dreary dishes each day. Using sub-standard ingredients in the apparent belief that tourists would not recognize the difference. Mercato Centrale Firenze is changing that. Fortunately, Mercato Centrale in Florence has approached the question of eating from a new perspective: how to bring high quality, fresh food quickly to the table in a way that is convenient, enjoyable, and well-priced. While at the same time showcasing the best that Italian cuisine has to offer. The San Lorenzo neighborhood of the historic center of Florence had fallen into disarray over the years. Locals moved away and tourists seemed reluctant to venture into the seedy area. In 2014 a group of visionary developers transformed the old market. 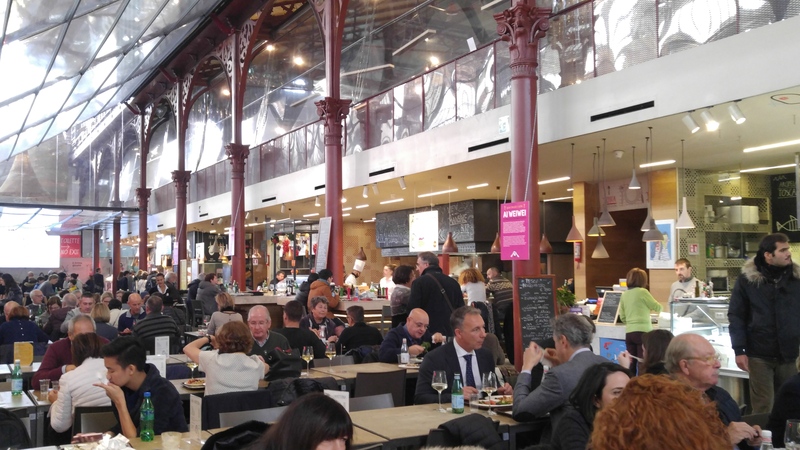 Originally built in 1874, the old market is now the new Mercato Centrale Firenze. The first floor of the grimy market was updated with small traditional stalls, and local farms were encouraged to bring their cheeses, meats, pastas and vegetables directly to the public. 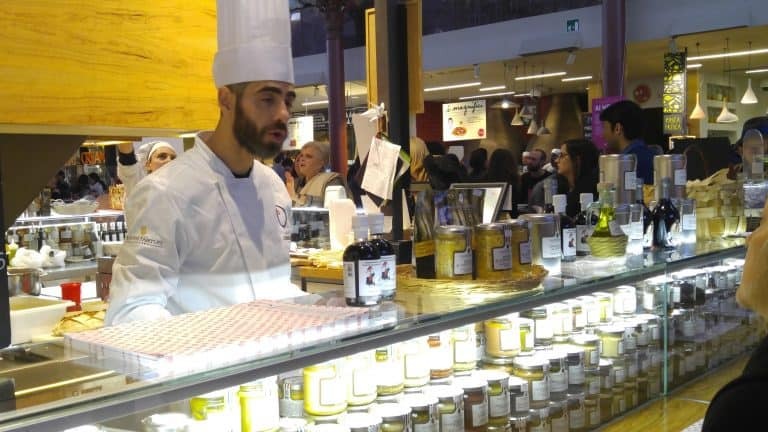 The Market then invited “Food Artisans” to establish food stalls and restaurants on the second floor to create a food court that would use only the products available in the first-floor market. The combined result is a market for locals that sells the best produces of the region, along with an eclectic eatery that focuses on variety and creativity. Indulge in bread and pastries, fresh fish, fruit and vegetables, meats and salamis, buffalo mozzarella, cheeses, chocolates and ice cream, fresh pasta, wines, and sandwiches now available in these shops run by artisanal traders. The food artisans at these stalls are eager to share their knowledge with customers, wanting customers to know what makes their food special. Seats around several of the small stalls invite you to sit. Watch the chefs roll out pastas or put together a unique sandwich using ingredients according to your tastes. 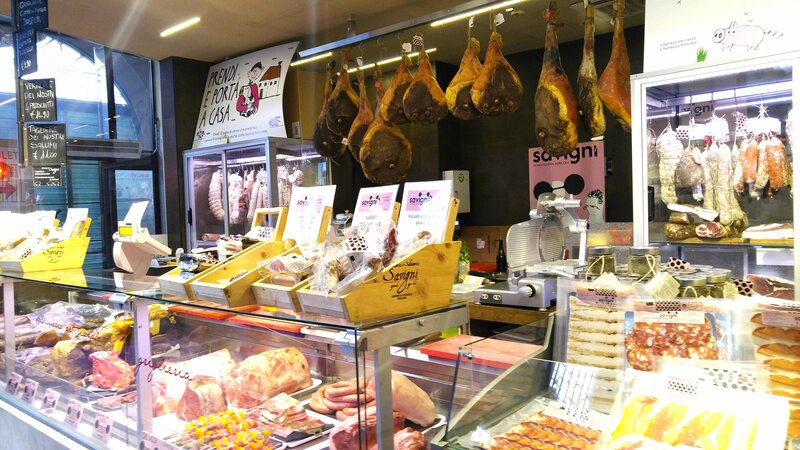 For a tourist, this new market is a mecca that you will want to return to several times while in Florence. Perhaps the first day you will select a pizza for lunch. Next enjoy a sandwich made from meats carved in front of you. Several stalls have vegetarian and vegan options, including soups in homemade bread bowls, or salads with enticing fresh vegetables. Once you smell the flavors of the seafood grilling or the pasta sauce bubbling, you might decide to indulge in several food items to share around the table. The center of the market has over 500 seats, many at long communal tables encouraging customers to engage in conversations and meet new people. Customers can select a variety of items from different food stalls, which then give the customer a ticket for payment. Once the food selection is completed, you simply pay with cash or credit card at the cash desk. Next, find a seat. A server will arrive to take your drink order and ensure that your table is clean. 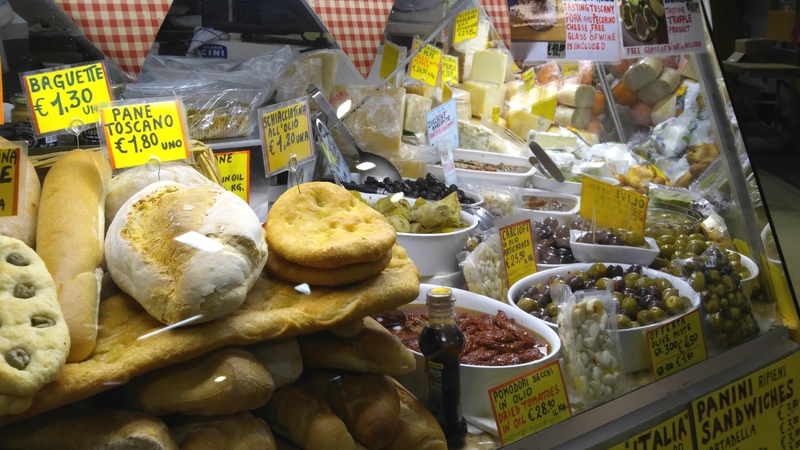 The food cost of the market is surprisingly affordable despite the freshness of the food. A hand-carved pork sandwich, a bowl of soup, and a salad might all cost less than 5E each. And a plate of hand-rolled pasta with sauce could cost less than 7E. A large wine merchant at the back of the market sells a great local wine or hand-crafted beer for 4E or less. The Market makes an ideal stop for a solo traveler who wants to mingle with others. A family with picky eaters will find something to please everyone. Clearly a favorite with the locals, they come to mix and mingle during or after work. The Wine Market in one corner will sell a bottle of wine to take home. The gelato stall will give a quick bit of sweetness to end the experience. There are clean toilets at each end of the floor, with Wi-Fi available throughout the market. During busy periods there is entertainment such as a small band or a piano. The Tourist Information booth provides brochures and sells tickets. 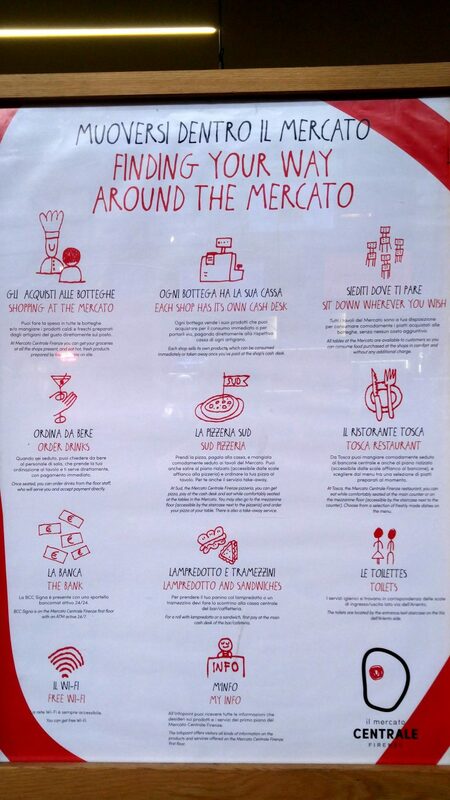 If you are confused about how the market works, there is signage in both English and Italian. The new cooking school, Cucina Lorenzo de’ Medici, in one corner of Mercato Centrale, offers a unique Italian cooking experience each day. The school has sixteen individual workstations. Workstations equipped with appliances include magnetic induction cooktops. They also provide a complete roster of kitchen utensils and appliances. Electronic tablets allow participants to follow the instructions of chefs. Each class runs approximately 90 minutes. The classes begin with a discussion of the ingredients and nutritional value of the dish to be made. Participants express their creativity with the food design on their plate before sitting for the final tasting. The tasting takes place at the chef’s table in a relaxed atmosphere with other participants of the course. Each person discusses and comments on the final results. Course costs include all of the ingredients used in the course; wine, insurance, an apron, and recipes. The variety of classes includes creating main pasta dishes, meat dishes, and pastries. 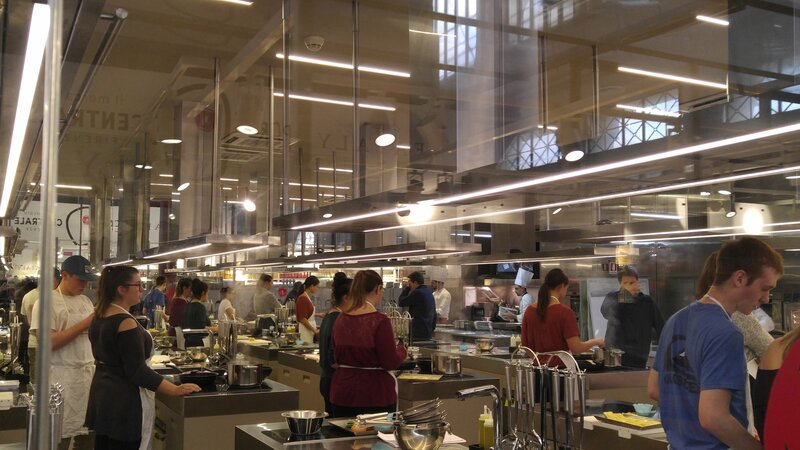 For instance, recent pasta classes taught students how to make “handmade spicy orecchiette with chicory, plum tomatoes and aged ricotta.” Also offered, “handmade pici ‘all’aglione’ with crumbled bread and Tuscan pecorino sauce.” Costs for classes range from 50E to 65E. • To sign up for a cooking class at Cucina Lorenzo de’ Medici go to www.cucinaldm.com. You can also get information on upcoming classes at the Information booth on the second floor of the Market. • If you want to check out the stalls and offerings before you go, Mercato Centrale’s website has a great map. 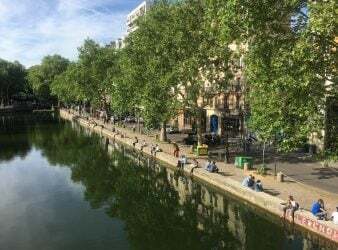 The site includes directions to walk to the Market from the train station. • Also check out the stalls outside of Mercato Centrale along the side streets of the historic area of town. In addition to souvenirs you will find craftsmen selling jewelry, scarves and purses. Beware of signs that tell you that the leather goods are “made in Italy.” Italian law permits this designation even if only the final stitching on a product was done in Italy. Many of the leather goods are made from inferior leather and assembled outside of Italy. Then they are imported and given a final stitch to satisfy the law. Check the zippers, snaps and stitching on leather items carefully to make sure that the quality matches the price being asked for the item. • If you want to have a great meal with companionship, but don’t want to be the chef, you can sign up for Dinner with the Chef, a cooking demonstration of an entrée and dessert, along with wine. The price per person is 38E based on a minimum of 6 people. The meal includes a dish plus dessert, wine and recipes.